The statement noted that the agreement excluded the dispensing of prescriptions in the Netcare Hospital pharmacies. Netcare and Clicks on Friday confirmed that all staff would keep their jobs as the two announced that the Competition Commission had approved a deal where Netcare would outsource retail operations to Clicks. 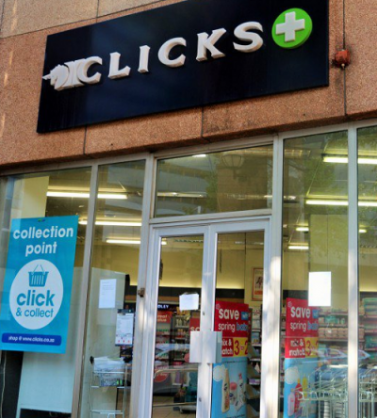 Netcare and Clicks agreed on June 8 that Netcare would outsource the 37 retail pharmacies in Medicross medical and dental centres as well as hospital retail front shop operations to Clicks. “The parties wish to confirm that employees involved in these areas of the business will be transferred to Clicks on terms similar to their current conditions of employment, and any other employees indirectly affected will remain employed by Netcare on their current conditions of employment,” said the two healthcare companies in Friday’s joint statement. The statement noted the agreement excluded the dispensing of prescriptions in the Netcare Hospital pharmacies, which would remain within Netcare’s hospital operations. The companies said affiliating the pharmacies and front shops to “an experienced retail provider such as Clicks” would mean an enhanced retail service offering to patients and other consumers. The statement confirmed that disclosure was voluntary and the transaction would not have a material impact on the earnings and financial positions of either Netcare or Clicks.